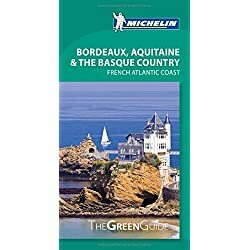 Biarritz and the Pays Basque - Bordeaux Guide | Hotels Bordeaux | Driver Bordeaux | Wine Tour | What to do in Bordeaux ? Tourism in the Basque country. The city of Biarritz is located along the ocean, at the beginning of the rocky coast of the Basque country. 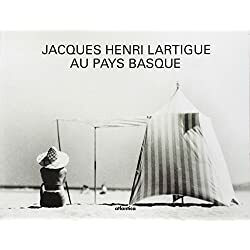 Biarritz and the Basque Country is where the Basque spirit shines. 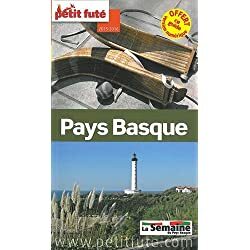 A tourist resort is found between the ocean and mountains, Biarritz would be happy to display the green, red and white colours of the Basque flag. 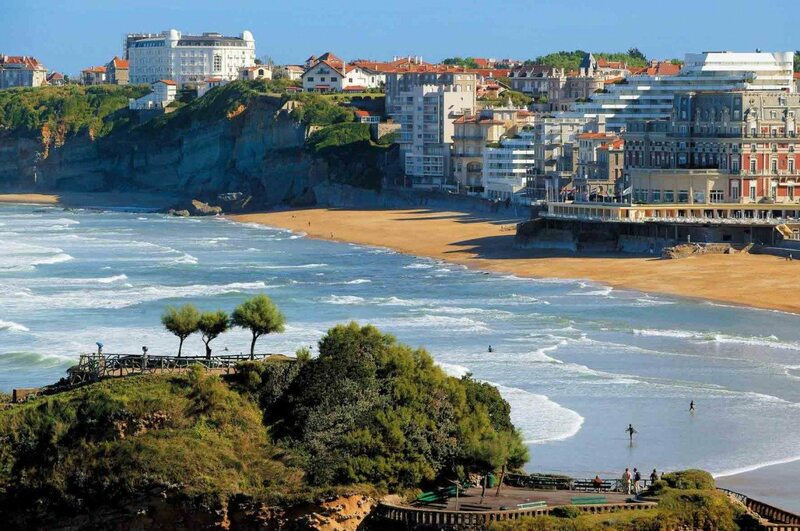 Biarritz is dynamic, stylish with exclusive and festive opportunities, Biarritz has many facets. The most cultured of seaside resorts on the Basque Coast were attracted by Empress Eugenie and other famous people in the 19th century. Nowadays, Biarritz offers not only lovely sandy beaches but also the great surfing, golf courses, thalassotherapy centres, shops, art galleries, fashionable bars, etc. A paradise for surfers and foodies, this will be a great place to calm, relax and enjoy your life. 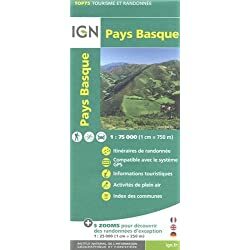 The coastal path that links seaside resorts along 25 kilometres where Anglet, Bidart, Guethary, Saint Jean of light and Hendaye affords pretty sweeping views surrounding sheer cliffs, sandy beaches and ocean as far as you could view. The Basque spirit charges this ideal setting. It is found to be attractive houses with those red and green half-timbered frontages, on village squares where games are played, in arts and crafts shops in Sare, Ainhoa and the Bastide-Clairence, with the spicy taste Espelette pepper gives to local dishes and naturally in the Basque language, as well as Basque dances and music that are an essential part of celebrations taking place all year round. It happened this weekend: the Basque Country and the Landes hit by hail. After three days especially beautiful and warm early in the week, the weather turned stormy in the Southwest. The first showers went off early Saturday afternoon in the Basque Country, before heading to the Landes. Gradually, the wave pluvio stormy invaded Aquitaine. In Biarritz, hail fell continuously for ten minutes and forced seller’s sell-out to return goods in their disaster. The episode has left behind a thick white layer-worthy of a winter. A Dax, firefighters had to intervene even on nearly 70 locations. Keraunos, French Observatory of tornadoes and violent storms, has identified nearly 2500 lightning strikes in the afternoon. Biarritz was a little fishing village as already discussed and now, decades later, with a population of around 28,000 people, this renowned seaside resort among the world continues to impress with glimpses of its spectacular past by still keeping a quaint and quiet laid-back vibe! As it is well known for its seaside naturally it accommodates lots of gorgeous restaurants. The restaurants in Biarritz are obviously served with seafood as its special food with tons of varieties each day! Among the other hotels Hotel du Palais and Hotel Beaumanoir in Biarritz provided varieties and quality in their food production and service and the most famous is the indoor market of Biarritz.